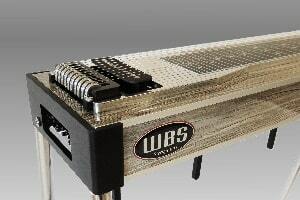 Here at WBS Steel Guitars, you will receive the professional help and qualified advice that will allow you to get the most out of your instruments sound and playability. On this and the following pages, I do not just want to get you excited about my handmade Pedal Steel guitars, but also to get acquainted with my philosophy. 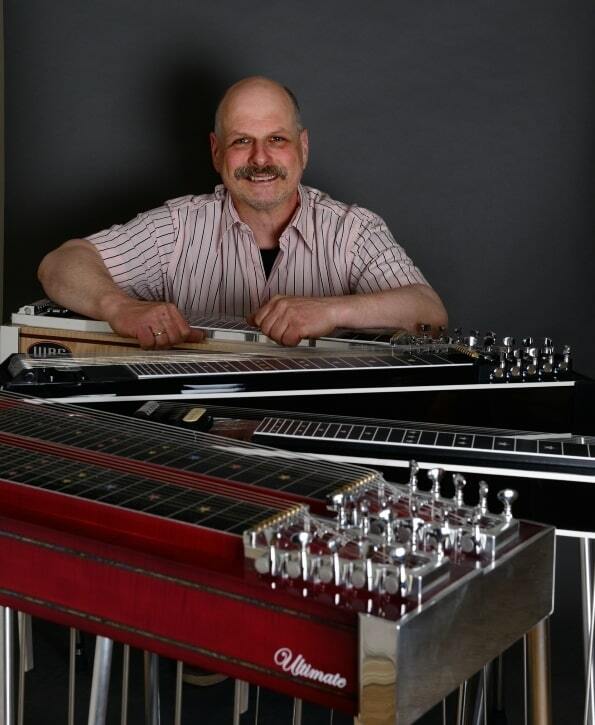 Whether it is a used steel guitar or you need an instrument tailored to your individual needs, I stand by your side with words and deeds. The models range from the WBS BASIC SERIES, a cost-sensitive and fully functional model for the beginner, to the WBS CUSTOM SERIES, to the sophisticated instrument for the professional with the WBS ULTIMATE SERIES. 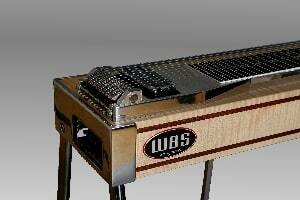 The WBS BASIC is a solid build steel guitar for the beginner. It has 3 footpedal & 4 kneelever. The model is available as singleneck (no pad) without the possibility of expansion. A RealStop© is optional available for this model. The WBS CUSTOM is available as singleneck (with or without pad) or doubleneck. It has 3 footpedal & 4 kneelever which can be optionally extended. A RealStop© and a Change Lock is optional available. 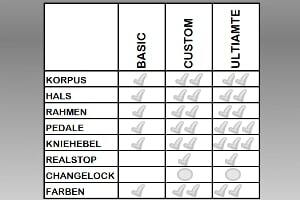 The WBS ULTIMATE II is available as singleneck with pad or doubleneck. It has 3 footpedal & 4 kneelever which can be optionally extended. One RealStop© is already installed and a Change Lock is optional available. © 2018 WBS STEELGUITARS - All Rights Reserved.